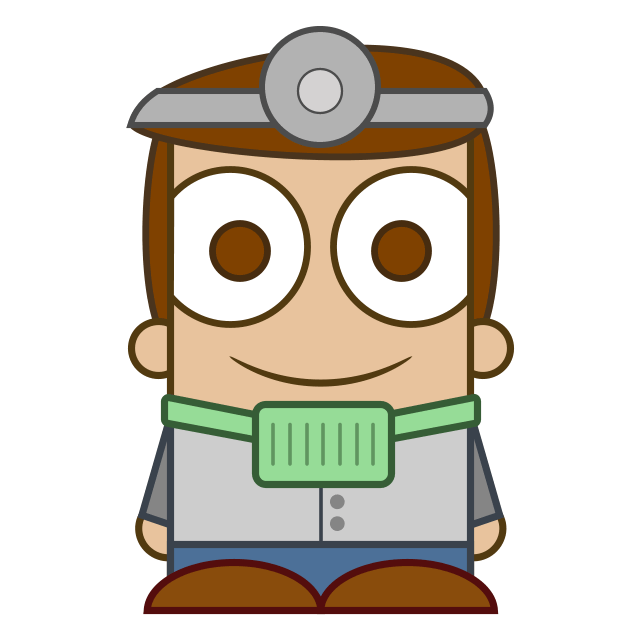 Draw an adorable dentist clipart wearing a nice suit and all the accessories needed to take care of everyone's teeth. Being a dentist is quite important to help people have beautiful and durable teeth. These men and women can perform a wide variety of task like cleaning teeth, diagnosing oral diseases and performing surgical procedures like tooth extractions. You need to study for a very long time if your goal is to become a dentist! Ready! Let's take a few minutes to illustrate this wonderful character using simple shapes and elements. 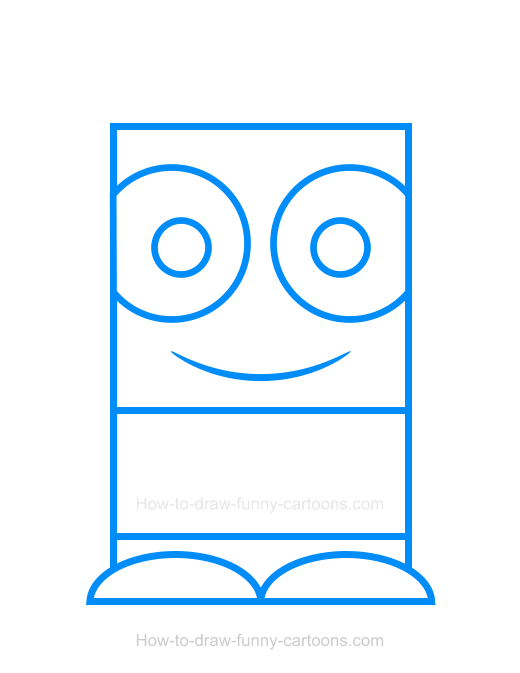 In this first step, you can draw a large square to form the head and two narrow rectangles to create the body and the legs of the character. Then, draw the eyes and the pupils using large circles. The mouth is done using a small curved line. For the feet, oval shapes are excellent choices. Notice how all outlines are thick and easy to read. So far, the character looks like any average cartoon character you could find anywhere else. 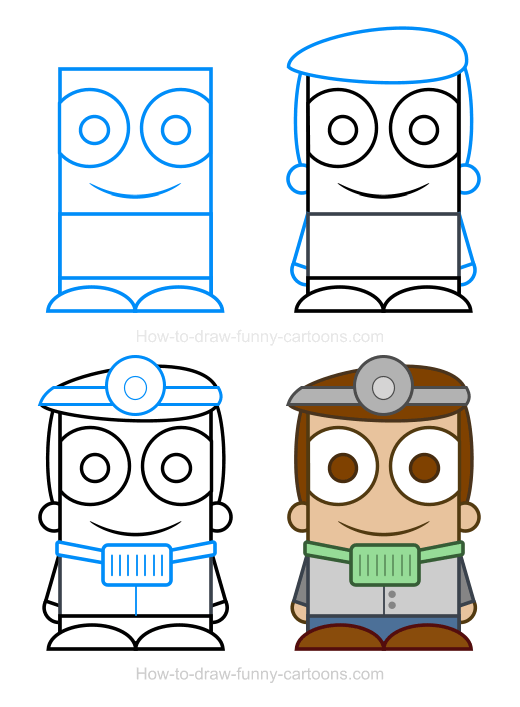 Let's add a few accessories to create a simple cartoon dentist. Below the mouth, draw a small rectangle with round corners as shown below. Inside this shape, draw a few simple lines. On the shirt of the dentist, draw a straight line. Complete the drawing part of the tutorial by drawing a large circle on top of the head and a thin, but long rectangle behind the circle. Here are all four steps required to illustrate this character properly. 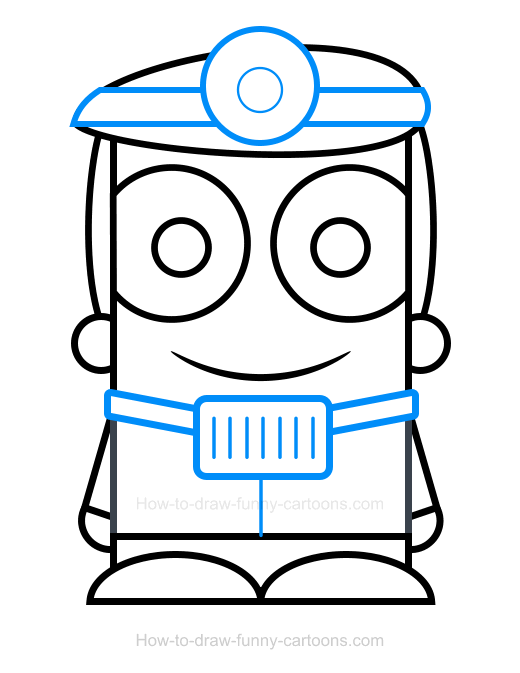 If you really enjoy illustrating dentists, then you can also try these other lessons featuring this cute character. You can start with a tutorial based on a happy character holding tools. Another version made from circles and without outlines is also available. 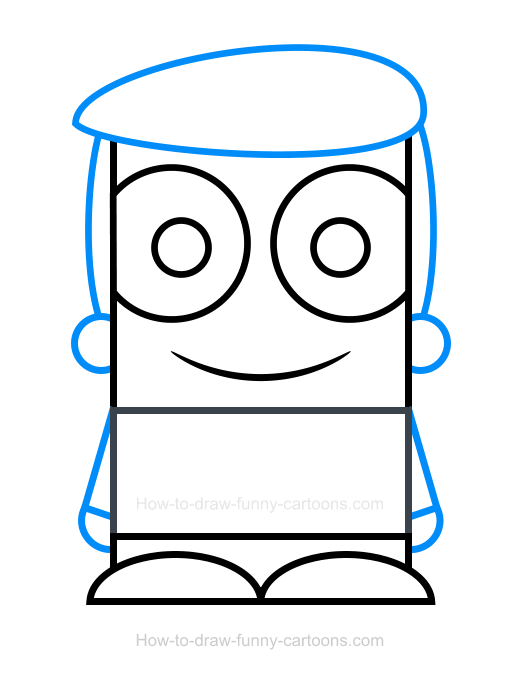 Next, this character made with thick outlines and filled with great shadows is also a nice alternative. Finally, advanced users might enjoy this character created from complex digital effects. Have fun!